A David Austin Rose beginning to bloom in my front garden. Some of the first roses I ever purchased were the David Austin variety. I loved the cupped blooms and rosettes of 'Benjamin Britten', 'Sir John Betjeman', 'Charles Darwin' and 'Pat Austin'. The blossoms ranged from deep red, bright pink, yellow to copper. Each of these rose varieties featured various scents — a characteristic that most other modern roses lack, but English Roses excel at. So it is with great sadness to learn that the founder of these groundbreaking roses, David C. H. Austin, passed away on Dec. 18, 2018. He was 92.
continued to bloom despite the poor weather. The rose is named after Austin's late wife. Austin was the creator of English Roses, which married the fragrance of Old Roses with the desirable traits of modern roses. 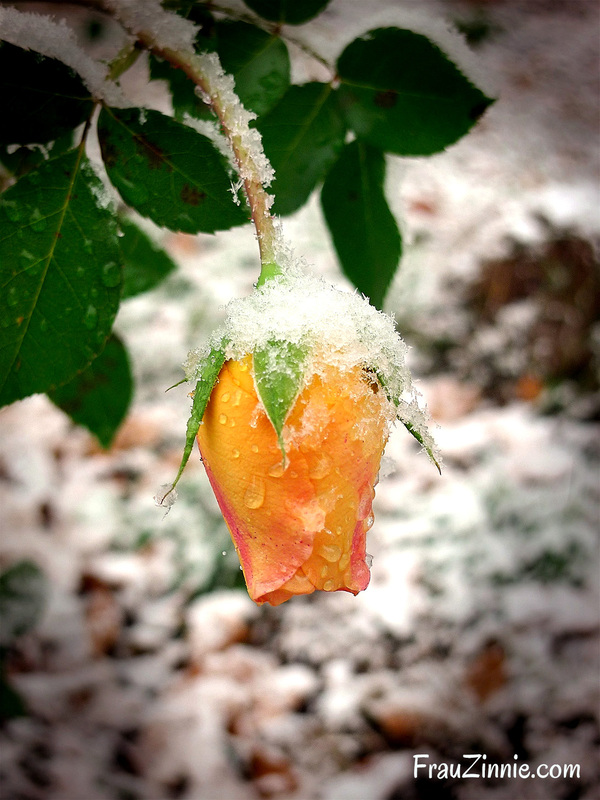 Breeders of modern roses, such as Hybrid Teas, often sacrificed scent and instead focused on repeat blooming and a variety of colors. Austin's first English Rose was 'Constance Spry' in 1961. But even though Austin could see the potential of his hybridization, many nursery growers didn't share his vision. 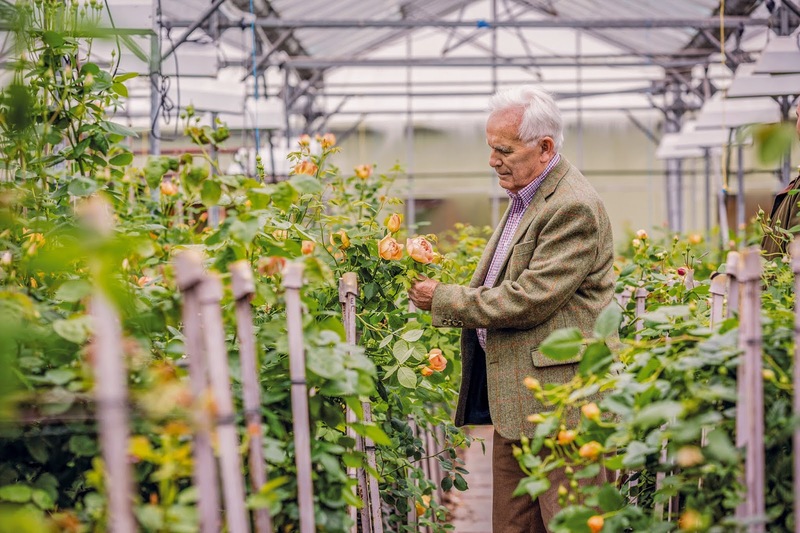 So in 1965, Austin opened his own nursery devoted to breeding, growing and selling English Roses. He also sold roses directly to local consumers, and later by mail. repeat flowering from summer through frost. David Austin checking a prospective parent plant. Copyright Richard Bloom, used by David Austin with permission. 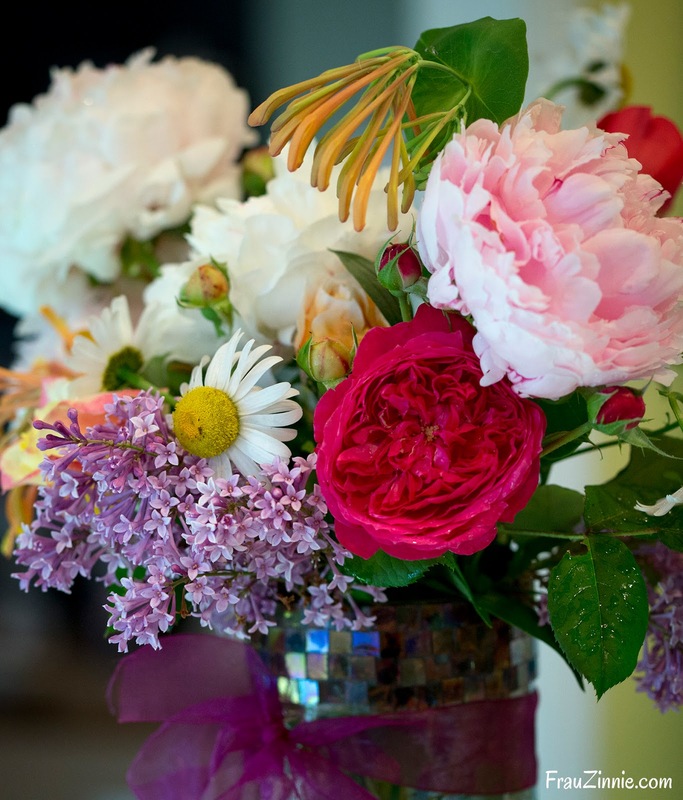 Provided by David Austin Roses for editorial use. His breakthrough came in 1983 when he introduced 'Heritage', 'Mary Rose' and 'Graham Thomas'. It was 'Graham Thomas' that stole the show at the Chelsea Flower Show — launching Austin and his roses onto the world stage. That's because 'Graham Thomas' was strongly perfumed, repeat-flowering and pure yellow — a color not found in Old Roses and rare even in modern roses at the time. Each year Austin introduced about three new varieties. From pollination to sale, the whole process took close to nine years. For each new rose released, roughly 120,000 unique roses were grown for research. "There is nothing more exciting than having 350,000 seedlings growing that no one has ever seen before," he said. 'Benjamin Britten' David Austin Rose in my garden. Austin's son, David J.C. Austin, took over David Austin Roses Ltd. in 1993. 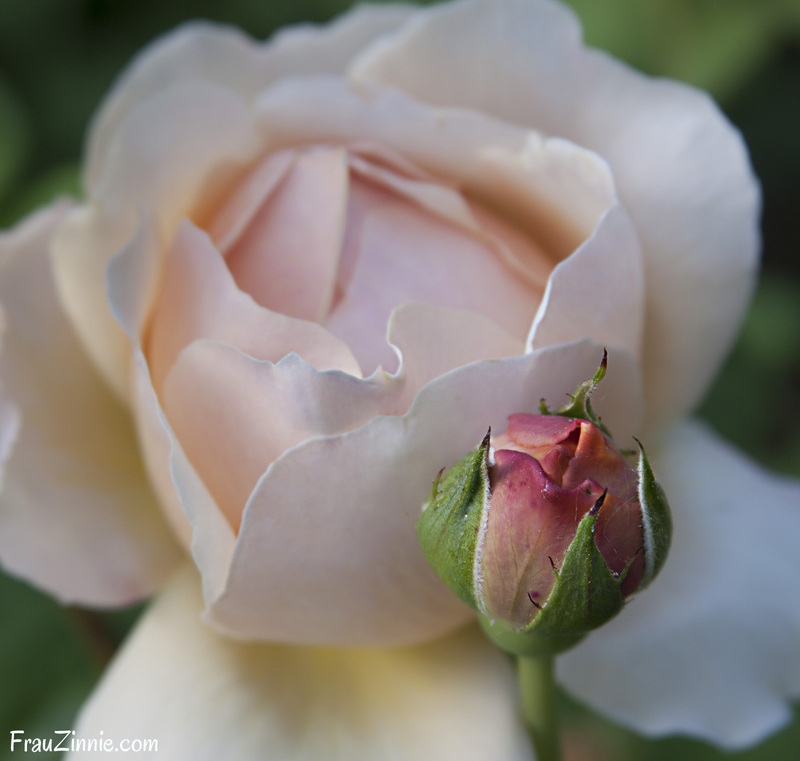 To date, David Austin Roses has introduced more than 240 English Rose varieties. In Albrighton, England, Austin created his famous rose garden, heralded to be the most beautiful rose garden in the world. The two acre garden features 700 varieties. 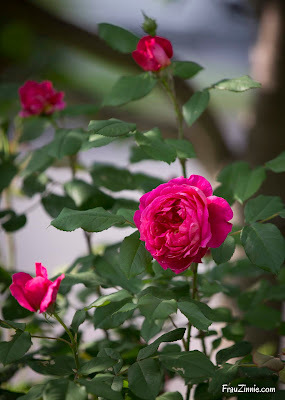 In addition, David Austin Roses Ltd. has won dozens of gold medals for its exhibits at the Chelsea Flower Show and the Hampton Court Palace Flower Show. In 2009, 'Graham Thomas' was voted the World's Favorite Rose by the World Federation of Rose Societies (WFRS) and was inducted into the society's 'Rose Hall of Fame'. Before his death, Austin had already planned and undertaken the next rose crosses. Hopefully these will create a new rose that will be introduced in nine years' time, according to David Austin Roses. Austin's vision of the perfect rose, and his determination to get it right, eventually made English Roses available worldwide. He will be sorely missed. 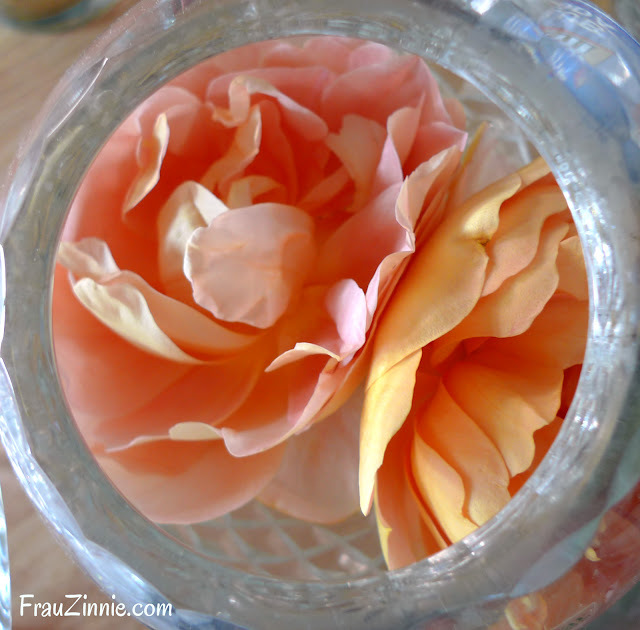 David Austin Roses are often included in the bouquets I bring indoors from the garden. 'Pat Austin' David Austin Roses in my rose bowl.